Many organizations are struggling with how to make the move from monolithic applications to applications based on microservices as they seek to reorganize their development paradigm to reap the benefits of microservice development in a DevOps economy. In particular, many organizations are invested in Java programming frameworks and Red Hat OpenShift Container Platform. This course exposes you to the application runtimes that are streamlined for deployment on OpenShift clusters, focusing on how to develop microservices in three of the OpenShift application runtimes. 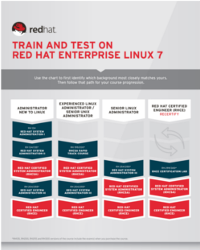 You will learn to select the appropriate runtime(s) for the organization and have a jump start on the development of cloud-native applications ready for deployment on OpenShift, thus supporting the organization's investment in OpenShift. As a result of attending this course, you will be exposed to three of the Java-based OpenShift application runtimes: WildFly Swarm, Vert.x, and Spring Boot. This course teaches the differences between these platforms and shows how each platform is best suited for various types of use cases. You will have the opportunity to develop real-world applications in each of the three runtimes. Determine which of the three runtimes is appropriate for a given use case. Develop a simple microservice in each of the three runtimes, given appropriate documentation and examples. Deploy microservices that interact with one another using the Red Hat OpenShift Container Platform.